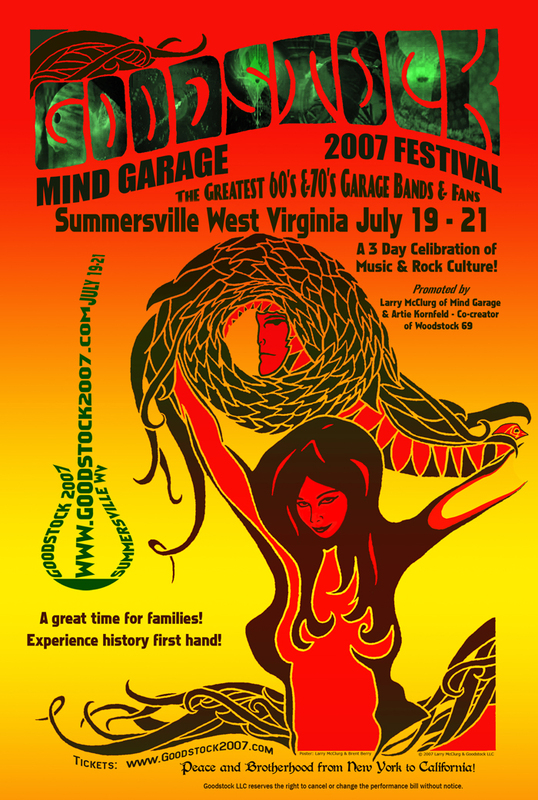 The design for the Goodstock poster was created by Larry McClurg, originator of Goodstock 2007. Larry envisioned a poster influenced by the old Fillmore and Avalon posters of the 1960's and 70's. He did the drawing of the design in pencil and gave me the honor of coloring and layout. Nicole, the Goodstock poster girl! Photo by "Sleepingevil" at Deviant Art.